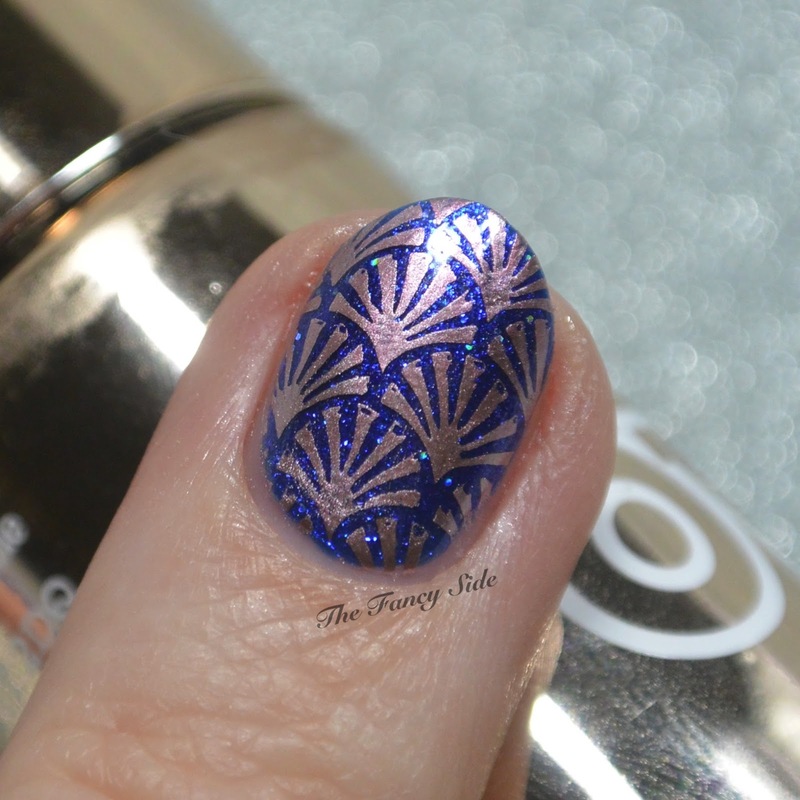 Today I'm showing off a stamped look featuring the new plate IG-107 that I showed ya'll yesterday. But to show you the cool look I need to show you a pretty polish. I started with a base of Glam Polish I Don't Do Fashion. I am Fashion! 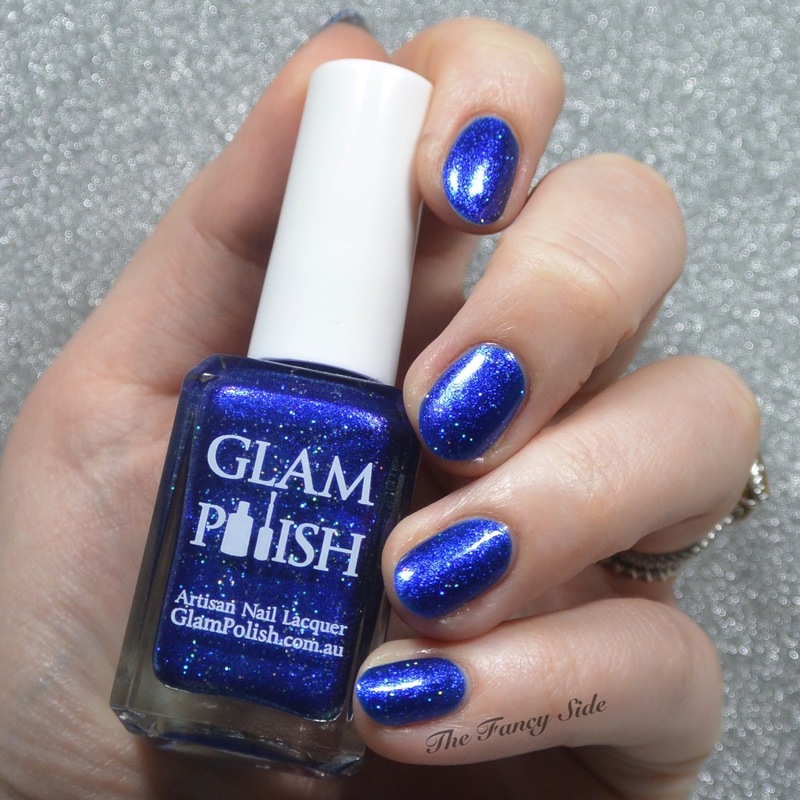 a pretty a bright royal blue shimmer with a hint of holographic sparkle. I then went in with Models Own Chrome Rose and IG-107 to add on these fans. I love this design paired with this color combo. There you have it. Pop by to see IG-109 another It Girl Fashion Plate in action tomorrow. Now for the best part...plates IG-107, IG-108, and IG-109 have officially launched in Nicole's store. From today, March 4th to March 9th, you can buy all three in a bundle for $35 which is a super sale!! Also, there is no more pre-ordering and waiting for your plates...they are ready to rock now. So run quick and get these plates. You'll love them I promise. This is a gorgeous look! 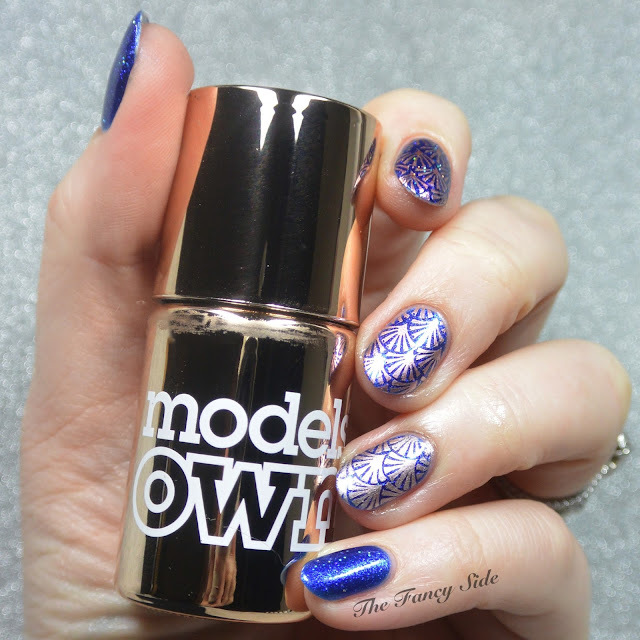 I really like the blue, and am surprised that Models Own stamped so well. Such a pretty mani. I wish I were more drawn to those blues. This is a beautiful mani! I love it! Gorgeous mani - that blue looks phenomenal on you! Ugh my kingdom for that blue!!! It's absolutely stunning! !! !